The Elantra GT isn't exactly related to the sedan and coupe, though they share a name. 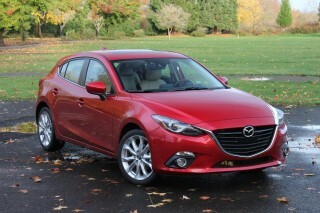 It's a version of a European hatchback that delivers better handling but less interior room than its siblings. Now at the front of a segment where it once barely registered, the Hyundai Elantra wears a stylish look and a full feature set that outshines stalwarts like the Honda Civic and Toyota Corolla. For 2014, a new engine and some slightly revised exterior looks bring updates to the Elantra line. 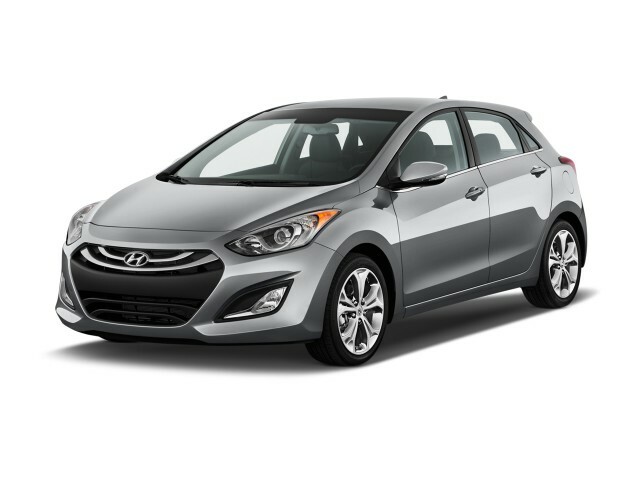 For 2014, the Elantra still is available in three varieties: the handsome sedan, the catchy Coupe, and the Euro-derived GT hatchback, which actually shares little with the others in terms of body structure. It's a relatively mild rework to the Elantra lineup, from the outside. 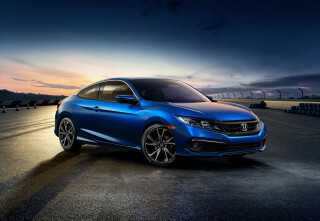 The accomplished styling of the current car now gets new front and rear ends, with LED fillips around the headlamps on Sport and Limited sedan models; those trim levels and the Coupe and GT also get LED taillamps. The rest? It's still a convenient metaphor for Hyundai itself, more interesting and more accomplished than ever. The Elantra wears a complex set of curves that collect in one fell swoop toward the rear end, where the boomerang door cuts give it a shove forward. 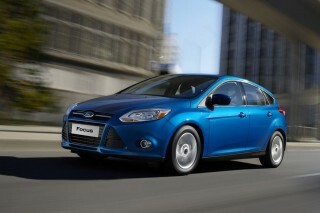 It's an energetic look on par with the Focus and Mazda 3, and it's back up with a daring cockpit (except in the oddly more traditional GT), with the hourglass of the center console a defining shape that just happens to function perfectly as a comfy knee rest. This year, the center stack's vents are reshaped, and the climate control system gets two knobs for climate control, instead of the rather flimsy single knob it had. 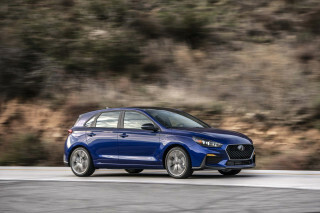 The Elantra remains lean and efficient, with a 1.8-liter four-cylinder engine standard in the base SE sedan (formerly dubbed the GLS) and the Limited. Rated at 148 horsepower and 131 pound-feet of torque, this powertrain's fairly smooth and accelerates respectably through a six-speed automatic or a six-speed manual. Generally, the Elantra doesn't feel as energetic or engaging as the Ford Focus, though, because its throttle is slow to respond to inputs. 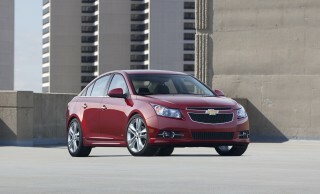 To correct some of that, this year's new engine appears on a new Sedan Sport model, as well as on all Coupes and GTs. 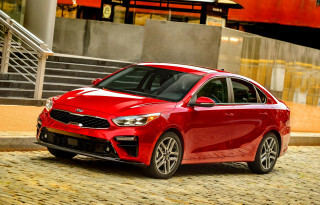 It's a 2.0-liter four we've experienced in the Kia Forte, and here it makes 173 horsepower and 154 pound-feet of torque, up 23 hp and 25 lb-ft from the smaller four. We'll have to defer on driving impressions until we get behind the wheel of the Elantra with the new engine--and with a round of handling changes that include three-mode steering on the SE and Limited sedan, stiffer shocks and springs and a bigger stabilizer bar on the Sport sedan, and revised steering feel on all models. 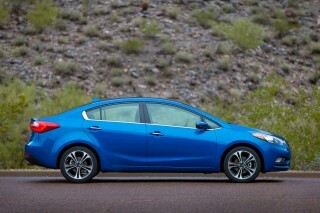 With its EPA-legit mid-size interior, the Elantra feels bigger than its competition, except the Dodge Dart. It's a supportive environment too, with ample space in the sedan and coupe, slightly less in the shorter GT. Sedans have fine leg room, but rear-seat head room is tight even for medium-sized passengers. Coupes don't have a simple single-lever arrangement, which makes it a bit futzier to get into the cramped back seats. The rear seats fold forward easily, if not completely flat, and that allows longer objects to be loaded into the relatively large, wide trunk. The Elantra's interior has lots of useful cubbies and storage bins, including a covered one that sits ahead of the shift lever: it also contains the aux jack, a power point, and the USB port in an easy to reach module, perfect for connecting smartphones. Last year, all Elantra sedans were rated at five stars overall by the NHTSA, and were IIHS Top Safety Picks, with an "acceptable" rating in the new small-overlap test. Those scores should carry over to the new model year, since structural changes are minor. The new Elantra sedan lineup now includes the SE, Limited, and Sport models. 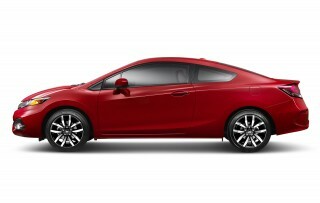 Coupes and GTs are sold in a single configuration, with limited options. All Elantras come with power windows, locks, and mirrors; keyless entry; and (on automatic models) air conditioning; cruise control; Bluetooth with audio streaming; and telescopic steering. Coupes now get a standard rear spoiler; 17-inch wheels; blackout grille trim; and a leather-wrapped shifter and steering wheel. All versions can stream audio via the Pandora app and a USB connection. A new 4.3-inch touchscreen radio with a rearview camera is now standard on the Sport and Limited sedans, and an option on the SE, while Limiteds get a new navigation system as an option. Excellent car. Easy to drive. Comfortable. Excellent gas mileage (31/city) (43/hwy) easy on the pocketbook. Wonderful car. Love it. It was my dream car that came true. Looks like a sports car. Drives like an economy car. Comfortable on long trips. Excellent gas mileage. Love it. I sold GM products for years. I rented an Elantra. Liked it. Test drove the GT hatch. Loved it. Bought it. Going on 2 years. No issues. Will buy another. excellent all round stylish car. The Elantra is an excellent all round car. A little lacking in power, but the 34.5 MPG around town makes up for that.